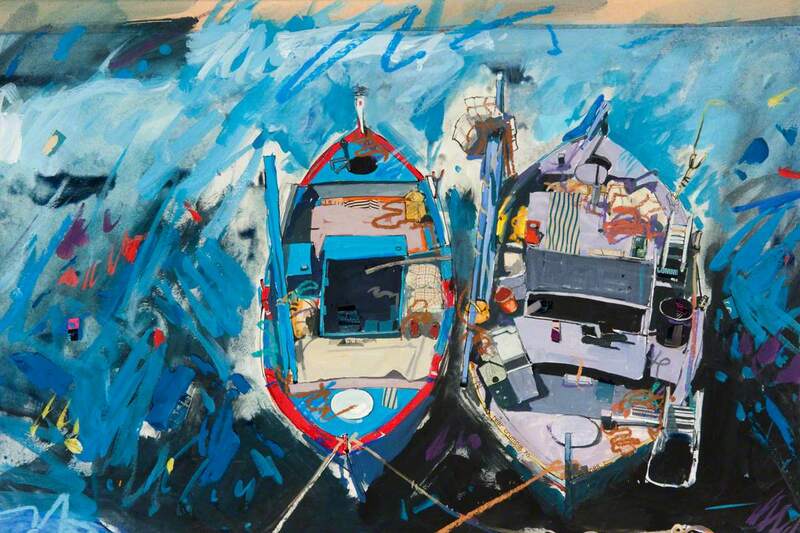 Seascape with two fishing boats. 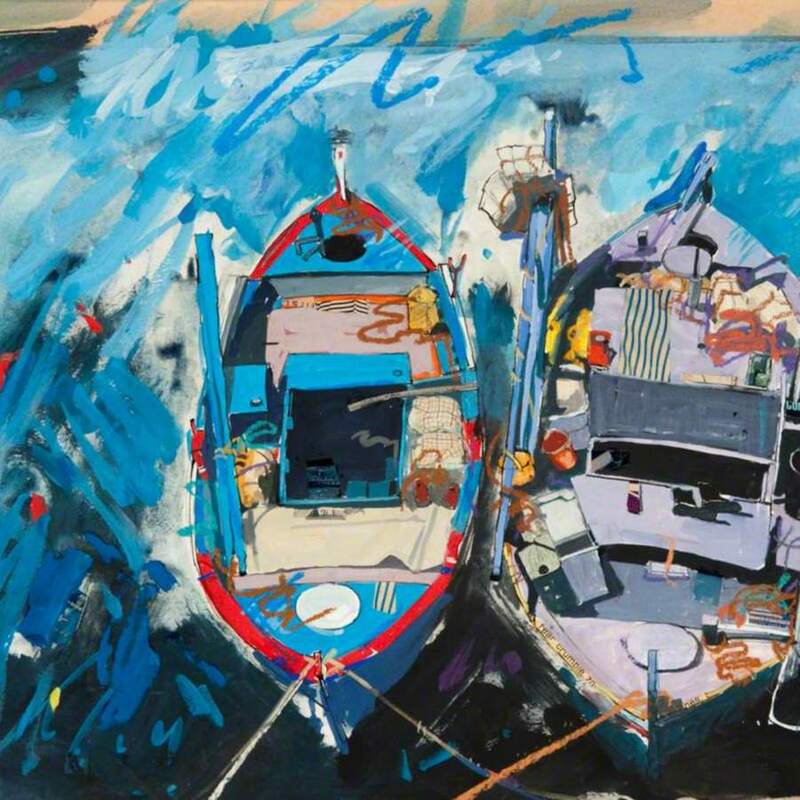 MacDonald; Hamish (1935-2008); Artist, “Blue Bathed Berth,” Heritage, accessed April 23, 2019, https://heritage.rcpsg.ac.uk/items/show/355. Description: Seascape with two fishing boats.